Turnover is a problem best prevented rather than treated. This is particularly true in the hospital setting. The financial cost of physician turnover alone is staggering, with the average direct cost per physician estimated to be at $31,090. This amount does not include fees paid to recruiters and lost productive time during candidate selection. Further, if signing bonuses, relocation allowances, loan forgiveness, and income guarantees are taken into consideration, the cost can go up to over $100,000. And this figure does not yet include on-boarding cost, which is another $100,000. That is a lot of money. As such, it is essential for every hospital to find ways to boost retention. Improving retention rates not only mitigate the costs, it ensures continuity of quality healthcare and the continued growth of the organization. There are many ways to implement this. Below are some of the best strategies for reducing physician turnover rates. 1. Assess your organization. You must know where you stand before you can take efforts to boost retention. The first thing you need to do is conduct a survey and analyze the data. A loss of 15% or less is reasonable but 20% or more is a problem. Find out why this is happening. Are there issues in workload or scheduling? Is there a misalignment in staff? Use feedback from the survey to answer this question, and once you find the source of the issue, acknowledge grievances and search for immediate and long-term solutions. Invite hospitalists to make suggestions, too. 2. Develop a strong culture. In every working environment, a healthy culture inspires loyalty. When hospitalists are recognized and satisfied with who they work with and how they practice, their morale and productivity increase. But when they do not feel safe and cannot take ownership of their jobs, there’s a possibility that there will be more resignations. It is not always about money. Do not only invest in creating a great experience for patients -- consider the condition and experience of healthcare workers, too. 3. Start a mentorship program. Assign a mentor to every recruited physician to facilitate on-boarding. It provides much needed support and allows new employees to see what future they can have within the organization and what it takes to get there. The mentor will communicate expectations and provide feedback to help develop the practice of the new physician. At least once a month, the mentor and recruit can meet to discuss performance, struggles, and other questions and concerns. Because the recruit’s progress will be monitored and documented by the mentor, problems can be addressed much quicker. 4. Promote work-life balance. Flexible schedules encourage a desirable lifestyle, which can then lower turnover rates. Shorter work weeks, part-time schedules, job sharing, and reducing call obligations are some strategies that you can test within your organization. 5. Recruit for hospital-fit. Have a thorough screening procedure for new recruits. Do not just evaluate skills but also look at values and career goals. Schedule a social visit so that the new recruit may be exposed to colleagues and staff. During this time, pay attention to personality, experience, and communication style. These elements can help determine if everyone can work well together. 6. Provide leadership development. Having an opportunity to be added to the executive team can be a very attractive perk to physicians. 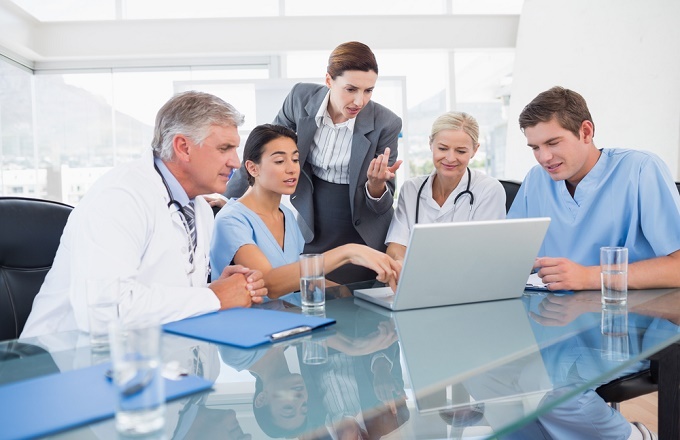 As such, hospitals must provide venues for leadership development like mentoring and committee assignments, leadership courses and external conferences, department chair responsibilities, and opportunities for medical directorships. All these easily inspire loyalty and commitment. It is best to address a high physician turnover rate as soon as possible. It may be challenging but if you pay attention to important factors like hiring and on-boarding, training, engagement, and culture, you can increase retention and continually deliver the best care and experience both to patients and healthcare providers.